On To The Next Paige: Baby Belly or Pizza Belly?! Baby Belly or Pizza Belly?! We are so thrilled to be having another little baby due in April 2018 but I'm now at the awkward stage where people are probably wondering "is she pregnant or did she eat a whole pizza to herself?"! Finding clothes that fit and that are comfortable right now is a challenge! 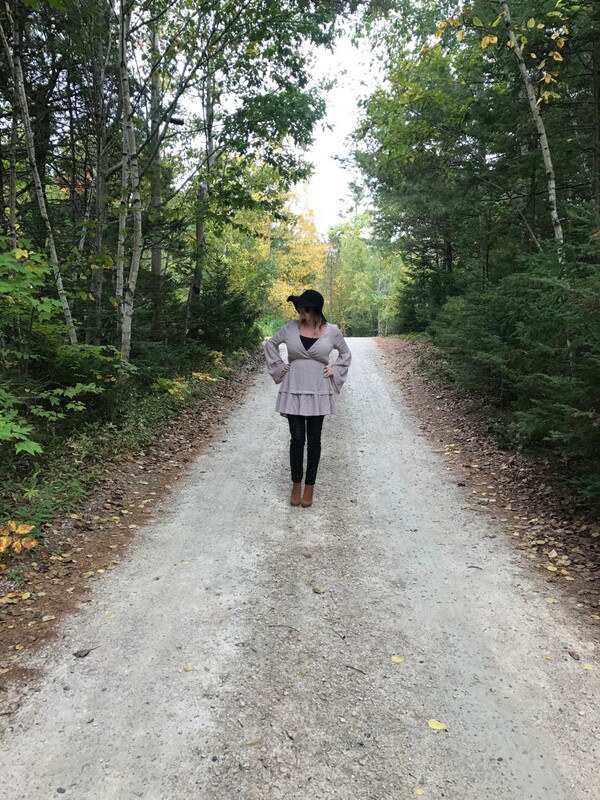 Anything "flowy" is a must! 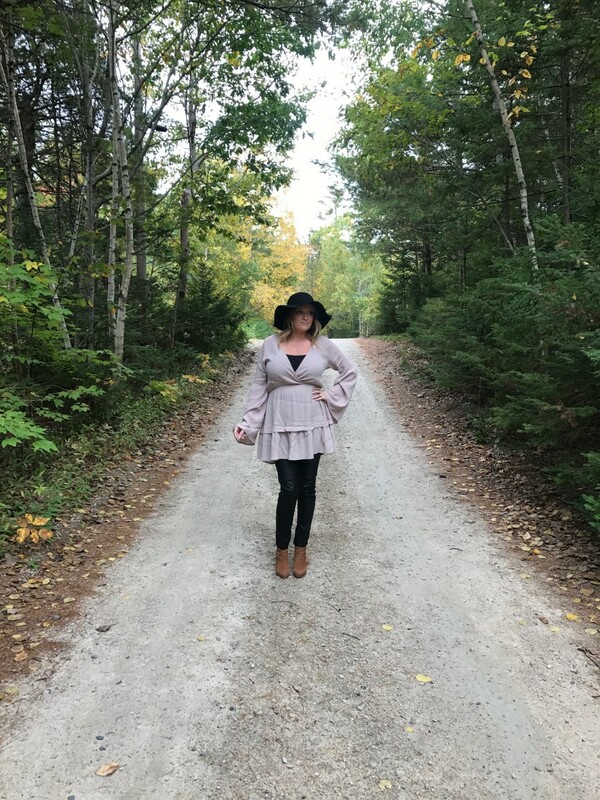 This was actually a dress from Tobi but it worked out perfectly for celebrating Thanksgiving at our cottage! The leather looking leggings are now my new favourite bottoms! They dress up any top and they're so comfy and stretchy!